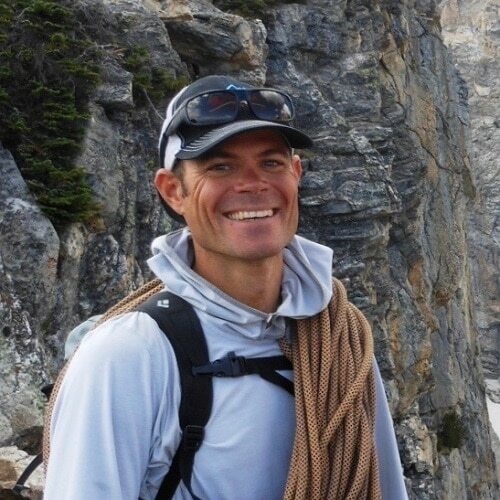 Tim is an internationally licensed (IFMGA) American Mountain Guide with over 20 years experience guiding rock, ice and alpine climbs; high altitude expeditions; and ski descents. He has guided throughout the continental US, Alaska, Canada, South America, Africa and Europe. He trains other guides and avalanche educators as a member of the AMGA and AIARE National Instructor Teams and has worked as an Avalanche Forecaster for the State of Colorado. Tim enjoys helping his guests define their goals, develop the requisite skills to accomplish them and head into the mountains well prepared to succeed. He is based in Crested Butte, Colorado, where he lives with his wife and two children.